Hummus has been in the news the last few days because of a recall. While I’m not opposed to all store-bought hummus (I like the brand involved in the recall), I much prefer homemade hummus. 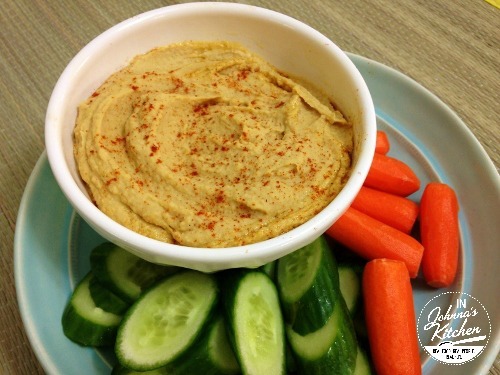 You can adjust the flavor to your whims, make it in just minutes AND it’s less expensive so you can have even more creamy hummus in your life! 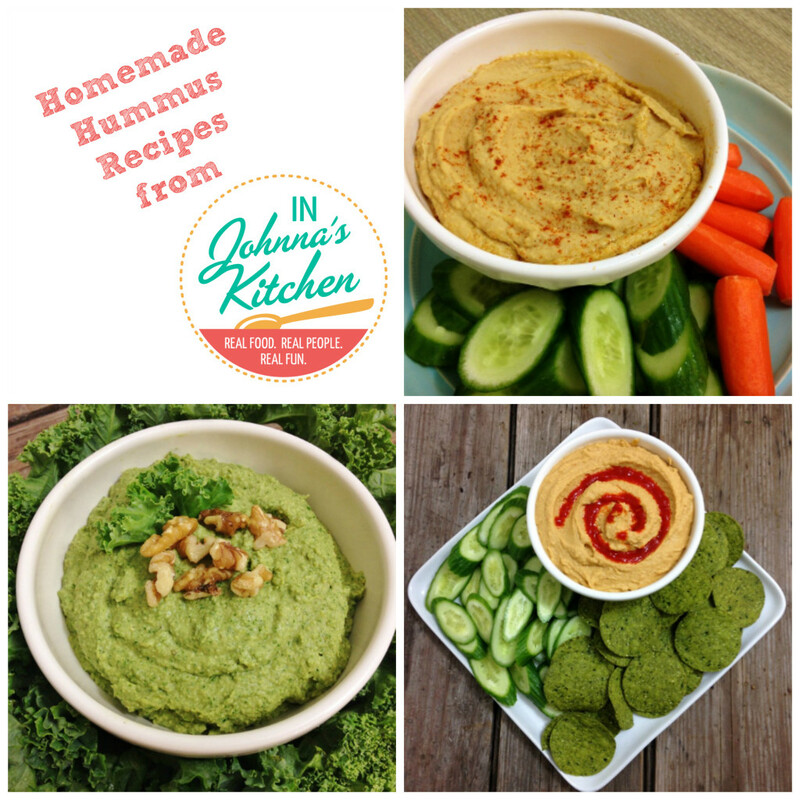 Today I rounded up all of my super yummy hummus recipes in one place for you. Bookmark it, pin it, whatever it is you cool kids do today to keep track of something. First up is my traditional, Basic Hummus. This is made with ingredients you probably already have in your cupboard. Make a big ol’ bowl of hummus for around $1.50. 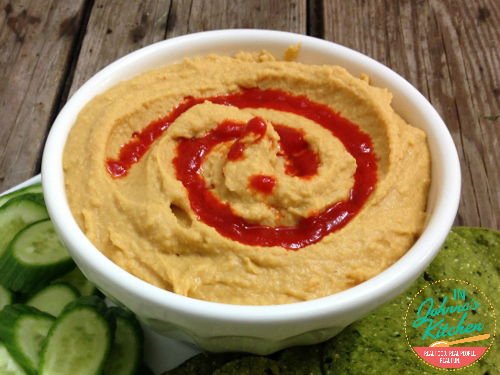 Next up is the fan favorite, my Sriracha Hummus. I take this to parties and have even given it as a gift. Folks really love this! If you are a fan of Gochujang, Korean pepper paste, it works just as well. Just substitute it 1:1 for Sriracha. I’m a big fan of Wholly Gochujang, the only gluten-free one I have found. 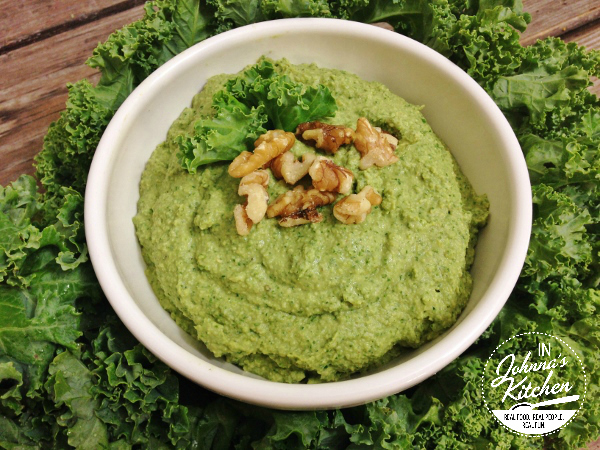 And last, my Walnut Kale Hummus. Yes, it’s very green. No, it doesn’t taste like kale. Crazy, right? While I like this with chips or veggies, I also like this on a sandwich instead of mayo. I’ve also stirred it into pasta, like using pesto. There you go, my sweet readers. Lots of hummus goodness in one place. Now you can get your hummus on in a hurry! I’m linking this post up with Gluten-Free Wednesdays. Click over for many more incredible recipes! Disclosure: This post contains affiliate links. If you click on a link and make a purchase, I may make a small commission. I use affiliate links to offset the expense of maintaining this website. Fear not, I haven’t gotten rich using this method. In fact, I operate in the red. I’m ever so grateful for your support. We need to have a hummus extravaganza!